Home > News > Industry News > How much does it cost to invest a stone production line? How much does it cost to invest a stone production line? How much does it cost to invest a stone production line? How do you configure the production line? With the development of national infrastructure projects, the demand for mechanism sand is increasing, and many quarries and stone processing plants keep emerging. So how much does it cost to invest a stone production line? How do you configure it? As one of the earliest manufacturers of sand and stone crusher equipment in China, Luoyang Dahua has the experiences of more than 30 years in the production of crushing machinery. From the customer's perspective, we have designed reasonable and optimized sand and stone production lines for thousands of customers, bringing huge production benefits. Many customers have witnessed the excellent performance of Dahua crushing equipment, and continuously added new production lines. 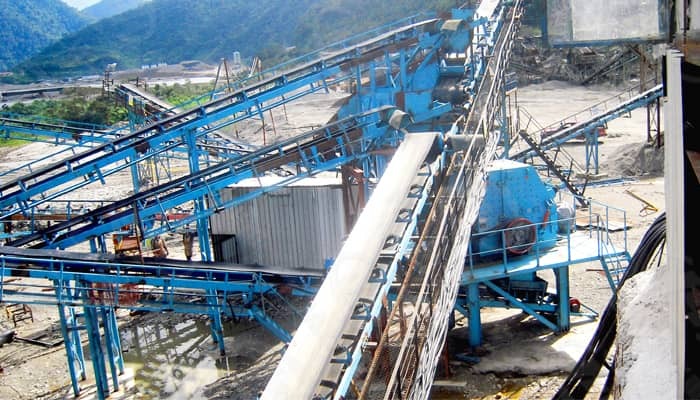 Investment in a sand and stone production line is not simply asking price, but to consider from many aspects, including the nature of sand, processing fineness, site requirements, quality of sand crusher equipment, and the scale of the manufacturers. Different production lines require different equipment, so the price will vary. A sand and stone production line usually includes feeder, jaw crusher, impact crusher, cone crusher, sand making machine, screening equipment, and supporting equipment, such as sand washing, classifier, etc. Luoyang Dahua has professional technical team, the doctor and graduate student are the backbone force, with perfect sales service system, independent research and development of more than 20 types of crushing equipment in a wide range of models and low energy consumption, to meet the various requirements of fractured sandstone, such as granite, basalt, sandstone, bluestone, etc., at the same time, also can meet the national green environmental protection requirements, truly realizing green crushing production for the customer.